Mamita is a term of endearment in the Spanish language. In our family, all of the grandchildren refer to their grandmother as "Mamita". Our Mamita is originally from Costa Rica. She now lives in the United States and has instilled the cultures of both the US and Costa Rica in her children and grandchildren. We chose to name our coffee after her because we hope that you'll love our Costa Rican coffee as much as we love Mamita. 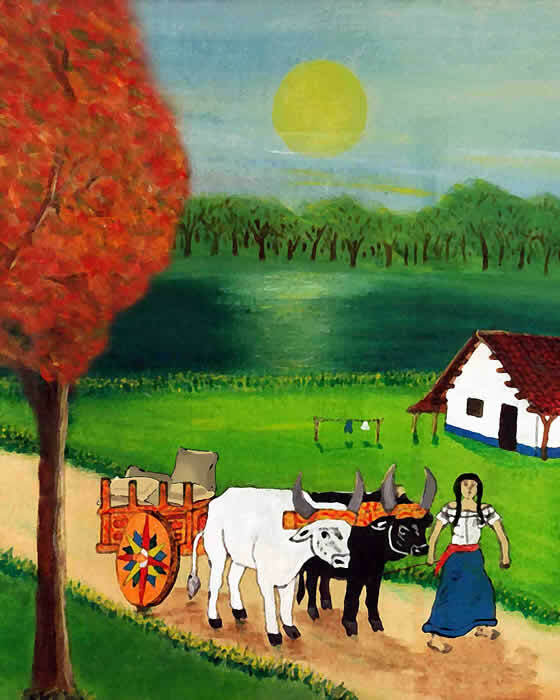 The Mamita's Costa Rican Coffee label highlights a beautiful painting of a Costa Rican scene that was created by Mamita's grandson. Family is of the utmost importance to our culture and our company.